My tour guide was Safiye K. and she was wonderful. Friendly, helpful, super informative, and fun to spend the day with. I have many fond memories of my brief stay in Istanbul and that is all thanks to her. Definitely 5 out of 5! Excellent. She's very personable and easy to talk with. Great to talk with, actually. Excellent English and great restaurant, food, and shop choices. Nice, efficient, and easy-to-do route including two ferry rides which were both scenic and restful. Highly recommend. Safiye is a fantastic guide ,she was there at the appointed time in our hotel ready to show us the wonderful city of Istanbul and that she did .No detail was too small she took us [party of 4 ] to all the sights she knew her city and its history and told its story so well . I would totally recommend her as a wonderful guide in this outstanding city .I loved the city Safiye had a passion for it and we loved it . Touring with Safiye was like seeing Istanbul with a friend who also happens to be an expert in the history and culture of this magnificent place! We did a two day person tour with her and she managed to show us all of the key cites without it feeling like a frantic pace. She is also very flexible and willing to customize your experience based on what interests you the most. I cannot highly recommend Safiye enough! We loved our tour of Istanbul! Exceptional food, sights and company. Thank you for the wonderful experience. We look forward to meeting you again. Best wishes to you and a wonderful country. My guide Safiye did an outstanding job, she catered the tour to my needs. Providing me with an abundant of knowledge about history of Istanbul and some of it's most famous sites. While never losing a step she was able to help me learn how to use the public transit system (which definitely help me out for the rest of my trip). To recommending and accompanying to some very delicious local food spots. All in all for a solo traveller like me, I was able to maximize time efficiently. Thank you Safiye! Safiye is the best!! She is very informative about all things in Istanbul. Her tour guide style is very interactive and it makes Istanbul a really exciting place. She is also very helpful with our requests and very happily share information of things with us. I must say we are very happy with her tour. We recommend her to anyone who wish to come to istanbul. Punctual, accommodative, flexible, and extremely knowledgeable. Most prominent of all about Safiye - she speaks fluent English, (you will realize in Turkey spoken English is a rare skill set). Repeat - absolutely Recommend - definitely Value - I thought so! TOUR GUIDE RESPONSE: Dear Mohammed, Thank you very much for your nice comment. It was a pleasure to meeting you. Hope to see you in Istanbul again. Best tour guide for Istanbul, she very knowledgeable and courteous. You won't be disappointed. TOUR GUIDE RESPONSE: Dear Tamara, thank you very much for your nice comment. You have a great family, kids are super cute :) I hope to see you again Istanbul. I am here anytime to help you. Extremely knowledgeable, patient and very flexible. Thanks for the additional site visited. I have been to Istanbul twice in the past 4 years and we have done multiple 1/2 day tours (8) with Safiye. We travel a lot, and she is simply one of the best guides we have ever had. Her tours are completely customizable. We had multiple days in Istanbul and we asked Safiye to do all of our 1/2 day tours. 8 tours and not one has been the same. Her knowledge of the amazing corners of this city is incredible. Safiye was much more than a tour guide to us. We now feel like we have a sister in Istanbul. Safiye was great! Had a wonderful tour of Istanbul and saw all the key sites! Very knowledgeable, friendly accommodating and even customized our shopping experience in the Grand Bazar! Thanks for a great tour on our first trip to Turkey! Safiye is a real treasure. She is charming and her approach to explaining Istanbul and its people and customs is both professional and heartfelt. She worked with us on an art project, and she proved to be very flexible and adaptable to our special requirements. She went above and beyond the outlines of our tour by providing advice on restaurants and arranging tickets for the most authentic whirling dervish show in Istanbul. She is a lovely person and excellent guide. Very highly recommended. Safiye was a fantastic guide - she is very knowledgeable about the history of Istanbul and is fully conversant in English. She has a wonderful patient personality, and was quick to tailor the tour to our interests. We only had one day in Istanbul, so arranging to have her show us the key sights of the City was one of the best decision we've made this trip. We'll definitely arrange to see her again next time we are back. Safiye was an excellent guide around the old city of Istanbul and I would highly recommend her. We only had a short time and Safiye was able to take us around the area efficiently and allowed us to see the primary points of interest before we needed to get back to the airport for our afternoon flight. Safiye spoke English perfectly and was able to convey her passion for Turkey, its history and its culture. She knows the best routes to get around and best places to eat. I highly recommend her! Safiye is one of the most professional and well informed guides we have encountered in our travels around the world. My interest in history and culture generated a wide range of questions by me that were answered in great depth by Safiye. She is so well informed and exceptionally organized. In addition she has a warmth and pleasant personality that makes each tour so pleasant and satisfying. Summing up we would say she is one of the best. After spending two days with her we are anxious to return. Safiye is an amazing tour guide!! She made me comfortable and her English was great! She has a great knowledge of the history of Istanbul! I learned so much from her-not only about the beautiful country of Turkey but also the life of a person who lives there. Safiye was very accommodating on adjusting our schedule to include some extra fun things to see and do during my visit! Not only was she a great tour guide, she became a great friend to me! I look forward to visiting Turkey and Safiye again someday! Safiye was an excellent and exceptional guide, she was very easy to understand and had good knowledge of all things local . We left Istanbul after two most enjoyable days and would love to visit again, thanks to Safiye and her friendly and pleasant ways. We would recommend her as the best. I really enjoyed my walking tour of Istanbul. My guide was knowledgeable about the city and the places we visited, was really helpful about shopping and finding an excellent baklava café! Most of all they were great company and helped me see and appreciate their city. Safiye is an extremely competent and patient guide. She quickly sensed our interests and tailored the tour to our needs. She is fun and energetic and handled our requests with ease. Very highly recommended. Safiye was excellent, she's knowledgeable considerate and cooperative, I high recommend using tours by locals and asking for Safiye, thank you again for The hospitality in Istanbul. Loved, loved , loved our time with Safiye. Loved her so much that we booked her for an additional day primarily to take my wife to the good shops (spices, jewelry, rugs, etc.). I cannot offer a higher recommendation, her command of English is excellent as is her knowledge of Turkish history. Being with a guide takes you straight to the front of the line. Walking is the only way to go, everything is close together in the historical area. Simply wonderful! So accommodating with our tight schedule. Safiye knew so much about the history, culture, and places of the city. She did a beautiful job of blending all this together for us. We would most definitely use her again! Thanks!! Safiye was very interesting, extremely pleasant and a wonderful guide throughout the day. She made every place we visited fun and pleasant. Her knowledge of history and current affairs was exemplary. She had an answer for everything and also helped with recommendations for restaurants and other things to do for the rest of our holiday. I would highly recommend Safiye to everyone! Excellent guide. Can only recommend her. Safiye was very generous with her time. Showed us eclectic food and locations - just what we had hoped to see. Her English is excellent and she has an engaging personality. She was very understanding and forgiving on a scheduling mistake by me. Much appreciated. We happily recommend her without reservation. Safiye was not only a tour guide but we believe she became a friend as well. She made all four of us feel extremely comfortable in such a large, diverse city such as Istanbul. Her knowledge and professionalism were outstanding. We gained a lot of insights into such an historical area, but she never overloaded us with too much information. It was truly a joy working with such a professional and personable young woman. Anyone considering visiting Istanbul can be certain she will make it a success. Safiye was an amazing guide with great knowledge on all the historical sites and tourists attractions we visited. She made us feel comfortable completely and it felt more like hanging out with a friend instead of following a guide. Add her excellent photography skills and she made our trip so much more memorable. Will definitely recommend her to our friends and families. TOUR GUIDE RESPONSE: Dear Hidhir, it was a big pleasure for me to be your guide in Istanbul. Thank you so much for your nice review. Insallah you and Jannah have a happy married life forever, God bless you! Safiye is a phenomenal tour guide. She took us to some of the best attractions in Istanbul. Not only this, she also met us at airport and made the transfer to our hotel seamless. When I return to Istanbul later this year with my family, I will definitely book another tour with her! Safiye was an exceptional guide. She had the knowledge and experience which she shared with us throughout the tour. She is very lovely, friendly and flexible person. Se made us feel like home and bend over backwards if needed. The tenacity, excitement & support she has shown is applaudable. I will highly recommend her as a guide. I must say we have found a friend in Istanbul. This city is very lively and Safiye will be one more reason to come and visit. I do not have words to describe my great experience with Safiye. She is knowledgeable, friendly, energetic, and pays attention to every detail. She customized the tour to meet our needs. She made our time in Istanbul an AMAZING experience! We learned so much about Istanbul and it's Greek, Roman and Ottoman history. Safiye gave us the two greatest gifts of all -- the gift of knowledgeable and the gift of friendship! Thank you! Very friendly and flexible!! I did a whole weekend. I enjoyed this trip very much with Safiye. We had a super good chemistry. TOUR GUIDE RESPONSE: Olavur, yes indeed we have a super good chemistry, being your guide was so much fun, thanks for your lovely comment. Safiye is the true "Turkish Delight" what a great person and tour guide. She is warm, friendly and with more knowledge about her city then you will ever remember. She is willing to answer any question that you have. The city of Istanbul is wonderful and you could miss a lot of great things without a guide. Safiye is one of the best guide I have ever had. She had a handle on everything and was always on time and worked with you at your pace, never rushing and would take you to whatever you wanted to do. If there is a rating that is more than 5 stars, Safiya definitely deserves it; Safiya was a great tour guide and an excellent companion with a lot of patience and understanding of exactly what I needed making the best of my time. She knows Istanbul very well, she knows not only the historical places but also knows all the areas and the right places to visit, see and enjoy; she knows the history, details and background of all the places we visited very well. She is also is a very kind, polite and generous. You absolutely must "book" Safiye, it's that simple. She is delightful - deeply knowledgeable, helpful, so good-natured... we couldn't have asked for a better introduction to Istanbul. Our visit was a great success in large part to her highly informative sharing of both old and new "gems" of insight, her patience and thoughtfulness, and our only regret was that our day had to come to an end! In Safiye, Turkey has an invaluable "ambassador" and travelers are blessed if they get to spend time w/her! Safiye is friendly, helpful and knowledgeable. She shared valuable and interesting info about Istanbul and Turkey that we wouldn't have found in guide books or online! She was also very patient while we shopped for sweets and spices. We truly enjoyed our time with her! A professional guide who clearly knows and loves Istanbul. Safiye was punctual and explained what the tour would entail upfont. She asked if we wanted to visit specific sights and areas. Based on our requests, Safiye guided us around and showed us where and what the locals enjoy eating during the weekend. We enjoyed a delicious picnic brunch and later a wonderful doner kebab. She also showed my wife the best shops for shoes, scarves and jackets. A really worthwhile tour. Safiye is wonderful! She is a gift to a tourist visiting Istanbul! Safiye energy is amazing. She is very knowable of the history of Istanbul, also personal attractions we wanted to visited she brought us to these sites. Safiye was happy to answer questions we had about culture of Turkey people and of Istanbul. Botton Line, if you are in visiting Istanbul Safiye is a jewel and will make your visit very memorable. Thank you Safiye, for making our visit so personable! TOUR GUIDE RESPONSE: Dear Regina, thank you very much for your lovely comment. I am very glad to meeting you. I hope we had more time and chat more. Hope to see you in Turkey again in future. Great tour with Safiye! Highly knowledgeable, got much of the local flavor, and overall just a fantastic tour. Looking forward to coming back to Istanbul and doing it again. TOUR GUIDE RESPONSE: Dear Rene, Thanks a lot for your nice comment. It was a big pleasure to be your guide. I hope to see you in Istanbul again in future. Safiye was the best guide I ever had. She worked with my odd schedule and the weird timing of my layover. I thought I had a free hotel from the Turkish Airlines, but apparently, I didn't satisfy a condition. I texted Safiye with my lodging problems and by the time I got to the city centre she found me the perfect place to stay matching my requirements(just a room for the night). Furthermore, I wanted to visit a local restaurant and she helped me find it and got my reservation sorted out. Best trip EVER. A relaxing day cruising the Bosphorus to Anodolu Kavagi near the entrance to the Black Sea and back again to Eminoglu. Safiye's style of guiding is to weave lots of rich information about what we are seeing into the natural conversation, and it's a real pleasure. She was so skilled and organized that she was able to modify the itinerary as it was happening to accommodate any need, for example switching to taxis when my knee was strained. Also another great lunch choice on the water. Safiye was a marvelous guide and companion for my first day in Istanbul after a very long flight. We explored Topkapi Palace and the Harem, the Carpet Museum, Aya Sofya and its tombs and the Grand Bazaar on foot, the way I like to do. Her explanations of the colorful history and culture were so lively that I couldn't help but fall in love with Istanbul --- perfect orientation to the city. Safiye is excellent. Safiye was a great guide and the street flavors tour was very authentic. She took us to places we had no idea about and talked about interesting local knowledge. We took comfortable and convenient public transportation all around the city. 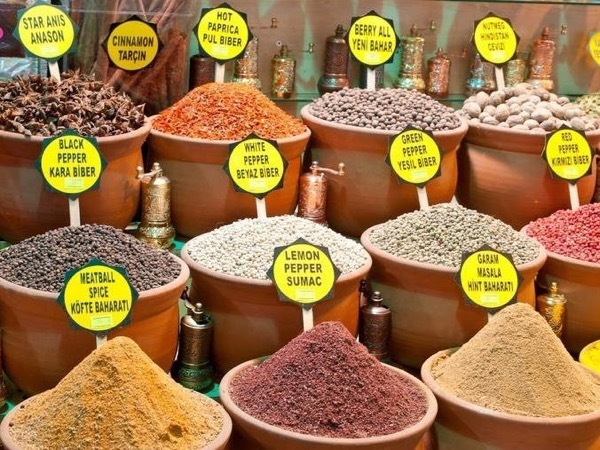 Highly recommend the street flavors tour or any other tours offered by Safiye. TOUR GUIDE RESPONSE: Dear Jacob and Jody, Thanks for your lovely comment. It was a big pleasure to being your guide. I hope to see you in Istanbul again. I had a wonderful time touring with Safiye. She customized a private tour for me that was exactly what I had hoped for. She had a vast knowledge of the sites and was also very personable and hospitable. I'm in the food business so she accommodated this by adding in a few fun foodie experiences for me as well. I would highly recommend her services if you have a chance to experience this wonderful city. Safiye is fantastic! Not only extremely knowledgeable, but smart and kind and patient. Not only an exceptional guide, but a fun person too. Thanks Safiye, you made our long layovers truly memorable. TOUR GUIDE RESPONSE: It was a big pleasure to being your guide and I had a great time with you. Our tour in Turkey was great!. Safiye was so sweet, kind and knowledgeable. She made us feel very welcome in her country. We were a bit nervous traveling into Turkey due to news reports. But meeting with Safiye and talking with her and the local people made us realize we would have missed a very lovely city, people and culture. Outstanding guide. Very knowledgeable about the culture and history of the region in general and, in particular, the Bosphorus passage. I will use her again when I am back in Istanbul and recommend her highly. TOUR GUIDE RESPONSE: Dear Gerry, It was so nice to meeting you. I learned too much things from you and so much fun. I would love to see you in Istanbul again. Safiye is amazing and besides being extremely knowledgeable, she is fun. My wife, her daughter and I spent 3 days with Safiye and before the end of our time together the three of them were Facebook friends (and still are). Istanbul is such a great city, with so much to see, you really have to have a guide who is a local. Not only would we recommend Safiye if you visit Turkey, but we've offered to be her guide if she ever makes it to California. Split the two days between the two continents by a day of rest. She was very accommodating to do this and it worked out well. It gave us time to appreciate the city of Istanbul and all it's highlights. If we come back again we would hire her again. TOUR GUIDE RESPONSE: Dear William, Thank you very much for your nice comment. It was my pleasure to be your guide. You are always welcome to my beautiful country. Excellent guide,easy to get on with,& gave us a good insight into the life of Istanbul..Flexible tour with just the right amount of history.We left her in the Bazzar & had a horrendous experience getting back to ship,with a taxi driver who said his meter was in Euros,not Turkish lire,& more or less grabbed 150 Euros from my husbands wallet,after demanding 200. Very aggressive & frightening.Use the easy public transport or Uber cabs Sadly it spoilt an otherwise excellent day. Safire was a very pleasant guide but the chosen tour had little content of interest and Safiye did not appear to have a depth of knowledge about local food. Altogether very poor value. TOUR GUIDE RESPONSE: I have done this tour so many times for another clients and everybody was happy about it. You can check this with my past reviews. What is written in tour itinerary, I confidently completely covered. There was no more and less. I am supposing my tour didn't match with this clients expectations.I tried to do my best for them like everybody and this tour was apparently to local for them. They needed something more upscale so that's why this tour didn't match with their expectations. TOURSBYLOCALS RESPONSE: Safiye is one of our top guides.Members of our staff from North America have traveled to Turkey and toured with her, and had nothing but great experiences. Her reviews from past travelers reflect this as well It is to our understanding that the traveler had expectations above and beyond what was present in the tour desc & not communicated to the guide prior to booking. We are confident in the guide continuing to provide 5 star experiences and we hope that you continue to consider touring with Safiye! What a great day with Safiye! She knows her history, is friendly and intelligent and so easy to talk to, A+ guide. Safiye was an amazing guide - we had three fantastic days discovering Istanbul. Safyie is so friendly and easy going, she has a passion for her city and her enthusiasm is contagious. I would highly recommend Safyie as a guide, one of the best we have had through Tours By Locals. Safiye is FABULOUS! I 1st booked Safiye 2 yrs ago, for a 4hr layover tour by public transportation for 2 travelers. I didn't book her last year, and regretted it terribly. This time, I booked her Istanbul City tour by private transport for 12. The bus was comfy & held all our luggage easily. Safiye's charming demeanor, excellent English, deep knowledge of local lore, as well as her incredible flexibility made her a hit with the group. I have used many guides with TBL and rate Safiye as one of the best! Safiye was charming and knowledgeable. She adjusted our bazaar tour to include the Sulieman mosque (since we missed it earlier), and her recounting of the history/stories added much to the experience. An expert guide through the maze of the bazaar, Safiye helped us find quality items we were interested in, while giving us pointers on when and how to negotiate. Very engaging personality, willing to adjust /customize the experience, and lots of fun. We highly recommend her and would use her again. TOUR GUIDE RESPONSE: Love you so much :) Have a wonderful time in Viking Cruise. We have hired numerous private guides over the years. Safiye was one of the best, if not the very best we have used. She is very knowledgeable about Istanbul history as well as the current political/social situation in Turkey. Safiye's English is excellent and she is very personable. She went out of her way to help with a couple of transfers for us and made sure all went well. We would recommend her without hesitation. Safe is the perfect tour guide in Istanbul. She knows the town, the people in town, and the best places to shop. She took us to the Spice Market, the Grand Bazaar, two mosques, and a great rug shop. Every recommendation that she made was spot on! She took us to outstanding shops and helped us get very competitive prices. I highly recommend anyone wanting a terrific guide in Istanbul. TOUR GUIDE RESPONSE: Dear Fred, I enjoyed being your guide a lot :) you know that. I had great time with you. Safiye is an absolutely outstanding tour guide. We spent two days with her and were amazed at how well she treated us. She took us to points throughout Istanbul and spent time explaining what we were seeing to people who had been to Istanbul and to people who had never been here before. We had a great time with Safiye and wish that we were able to book her for our tour in Ephesus. We will definitely go through toursbylocals.com to hire Safiye the next time we are in Turkey. Very nice day touring around with Safiye. She speaks excellent, easy to understand english and is extremely knowledgeable, also very personable and friendly. She recommended things that nicely fit what I was looking for, and customized the tour exactly per my needs. Highly recommend! We were very highly satisfied with Safiye who gave an outstanding tour of everything we wanted to see and more! My wife and I were with another couple and she spent three days with us. We found her so personable, knowledgable and engaging in exploring Istanbul in both Europe and Asia. We have done many tours in the past and this one was by far the best, in large part due to her passion for her job and her exuberance in showing and explaining the historic and cultural aspects of Istanbul -- so much fun! We spent a wonderful day with Safiye on this Bosphorus cruise to a fishing village near the Black Sea. Wonderful experience seeing oil tankers, fishing boats , and small villages on both sides of the Bosphorous Strait. Istanbul Harbour is a fascinating place to observe all types of transportation!. Safiye is passionate about sharing her knowledge of her country's history and politics. We highly recommend spending time with Safiye. You won't be disappointed. Safiye is extremely knowledgeable about Istanbul's history and politics.She is prompt,professional, with a great sense of humour. She went beyond our expectations as she is flexible to your needs yet made sure we covered all items on the tour enabling us to bypass the queues. We covered a lot in a day. Well worth it! She even arranged a transfer from our hotel to the cruise port! !